The Houston Astros just keep on rolling. They’re now at 54-26 on the season after their getaway day win against Oakland today, which was fueled by Carlos Correa home runs 15 and 16. One went backside. One was a monster shot to center. Correa has arrived. He’s back to that dominating form he had as a rookie, only more refined. More dominating. He’s hitting .309 with a .388 on base percentage, a .925 OPS, and 53 RBI. He’s on a 32 home run, 107 RBI pace. If he holds those numbers, and the Astros keep mowing through opponents like they have this year; he’s going to be in the conversation for American League MVP. At the moment, you’ve got Trout returning from injury, Jose Ramirez, Aaron Judge, and who else? 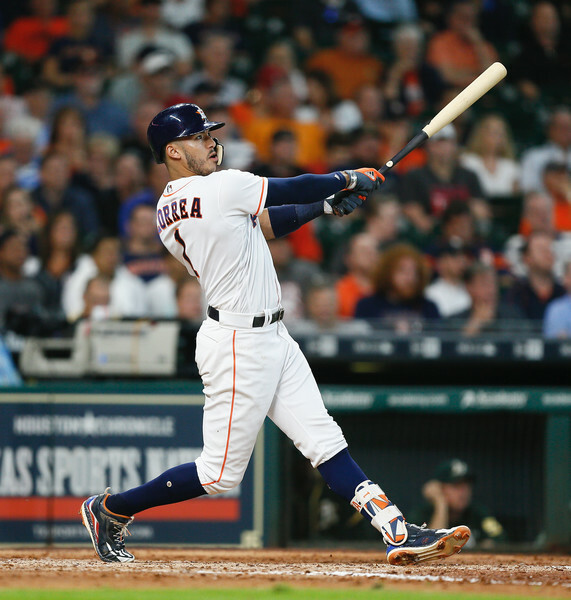 Correa has been the best player on a team filled with interesting bullet points: from Chris Devenski to Brad Peacock to Altuve, George Springer (he may pull some votes from Correa himself if he continues things), to bench guys like Jake Marisnick and Marwin Gonzalez. They have a ton of firepower, and a ton of stars. The jewel of the crown though is Correa. Just like many thought he would be.